What makes "one drink?" | Is everybody doing it? About Alcohol: Did you know? 1 in 25 deaths internationally are linked to alcohol use. The amount and frequency of alcohol use play a big role in health problems like liver disease; cancers of the mouth, stomach and breast; and addiction. 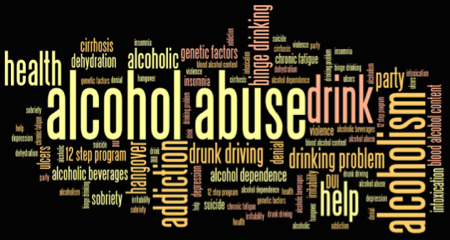 Alcoholism is the third leading cause of preventable death in the United States. Healthcare costs of untreated alcoholics are 100% higher than non-alcoholics. Estimates are that in Gallatin County, only 10% of the people with a substance use disorder (alcohol and other drugs), actually receive the treatment they need. That means, most who need help do not get it. (Make a donation to support our work). 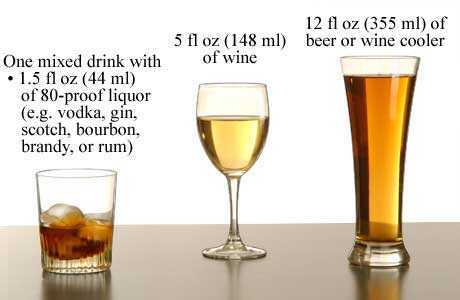 Women 1 standard drink per day, no more than 3 drinks any one occasion. Senior Citizens should drink no more than 1 standard drink per occasion. There are no healthy drinking levels for youth under 21, pregnant women, or recovering alcoholics and addicts. Cutting to within the “limits” is not risk-free. For instance, motor vehicle crashes and other problems can occur at a Blood Alcohol Content of .02. In addition, many medications should not be mixed with alcohol. Can’t stick to those limits or less? Try this free, quick and private screening tool. What constitutes a standard drink may surprise you. People who abstain are those who consume no alcohol. People may choose to abstain because of religious beliefs, or not liking the taste, or because they have been influenced by a friend of family members’ problems with alcohol and have made a conscious choice not to go there. Low-risk drinkers consume alcohol at or below American Medical Association (AMA) recommendations. A person drinks at low-risk levels if they experience no negative consequences as a result of their alcohol consumption. At risk or hazardous drinkers consume alcohol at amounts above those recommended by the AMA. “Risky drinkers” are people who may have experienced a negative consequence or two, but may not. Alcohol abusers have experienced repeated alcohol-related negative consequences such as accidents, injuries, problems in school, and behavioral problems. Dependent drinkers can’t control their alcohol use, have experienced repeated adverse consequences, are preoccupied with alcohol use, and may have evidence of physical tolerance or withdrawal.